Singer-songwriter Andy Kim, who's best known for hits like "Sugar, Sugar" (songwriter), "Baby, I Love You" (singer), and "Rock Me Gently" (both), has a brand-new CD, Happen Again, coming out tomorrow, March 30th. It is Andy's first new album in over twenty years. Toronto’s AM740 (Zoomer Radio) is presenting Andy Kim live in concert at 2:00 p.m. Tuesday. If you live in or near Toronto, you can be one of the lucky people to see the show in person in the Concert Lobby at the radio station (on a first-come, first-served basis). They'll even let you bring your camera. Otherwise, you can listen to the whole thing on AM740 or watch the live webcast on the site. Happen Again is available on Amazon Canada. You can visit Andy’s official website at http://www.andykimmusic.com/. And check out Andy’s MySpace page to listen to the entire album on his music player! Watch for my review of this fantastic collection shortly. Johnny Maestro was born John Mastrangelo on May 7, 1939, in Brooklyn, NY. He first rose to prominence as lead singer of The Crests, one of the first interracial recording groups (consisting of 2 black males, 1 black female, and 1 Puerto Rican in addition to Maestro). After several hits, including their biggest, "16 Candles," Maestro left the group to go solo, eventually joining The Del-Satins. The following year, 1968, The Del-Satins joined forces with a group called The Rhythm Method and became The Brooklyn Bridge (the inside joke being that their act would be "harder to sell than the Brooklyn Bridge"); their first release, "The Worst That Could Happen," became Maestro's signature tune. Johnny Maestro passed away from cancer on March 24, 2010, in Florida. He was 70 years old. 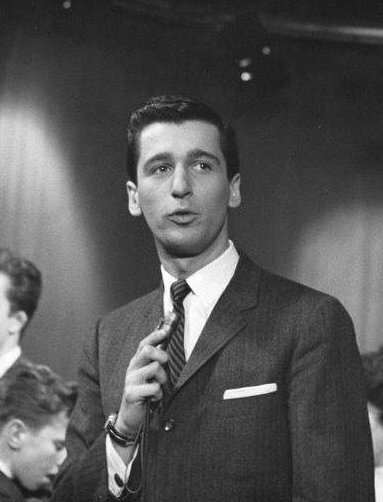 Johnny Maestro was a singer's singer. He had one of the best set of pipes out there; he was one of the greats. By all accounts, in addition to being a very talented individual, he was a very nice person. I think it's safe to say that there will never be another like him. His passing is a tragic loss for the music world as well as for his family, friends, and many fans. Johnny, you will always be The Maestro to us. Rest in peace. Those of you who lived in the New York metro area during the 1960s might remember Clay Cole and his eponymous TV variety show, The Clay Cole Show, which aired from 1959 to 1968. Clay presented many of the rock and roll stars of the era on not just his television program but also on stage (i.e., the Brooklyn Paramount) and screen (Twist Around the Clock). Clay also hosted The Clay Cole Summer Show, broadcast from Palisades Amusement Park. Scores of rock and roll singers and groups appeared on Clay's shows. In 1969, at the height of the hippie movement and psychedelia, Clay walked away from the TV show and virtually disappeared for forty years (although, in reality, he was keeping busy as a writer and producer). Now, Clay has reemerged to promote his new book, Sh-Boom! 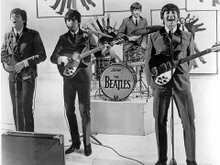 : The Explosion of Rock 'n' Roll (1953-1968) and to once again host concerts (now oldies shows) in cities such as Belleville, New Jersey and St. Petersburg, Florida. 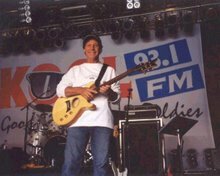 Thanks to oldies deejay Ronnie Allen and Jersey Girls Denise Ferri and Bernadette Carroll, there is now a petition to get Clay Cole inducted into the Rock and Roll Hall of Fame. Please visit this page on the Jersey Girls website to read all about Clay Cole's remarkable career and to sign your name to the petition. Clay not only presented the best acts in the business, he was (and remains) quite a class act himself. Please take a few moments to show your support for Clay and for the great music of the 1960s he helped bring to the world. Thank you!